Asked in Malabo where he had come to seek the vote of Equatorial Guinea in his favour, Ben Hammam told AFP: “My program for Equatorial Guinea is the same program for Africa in general, I will increase financial support, I will develop infrastructure in football for poor countries in Africa.” “Today, at Fifa, we give $ 250,000 a year to each federation, what I’m going to make (if elected) to $ 500,000 per year,” he added. “I think that’s the least I could do at the moment for Africa, but there are many other programs to technical aids such as training of referees, coaches, administrators,” added Mr. Bin Hammam. These promises of the President of the Asian Confederation are a response to the comments of Joseph Blatter, president and outgoing only other candidate in the elections of June 1 to Fifa. In his letter sent to the 208 field federations comprising the Fifa and of which AFP had a copy, Mr Blatter promised “to implement and strengthen the development programs such as “ Goal,” adding that “Special efforts will be made to accompany the member federations towards professionalization. Africa Geographically is adjacent to Europe and upcoming economies in Africa are attracting strong European carriers to take their share of business from black continent adjacent to them.At present Africa’s local airlines are less organized whereas flying by Middle Eastern airlines like Emirates,Qatar Airways and Etihad Airways take too long for passenger travelling from to and from African continent to reach Europe and America’s where millions of Africa settled in last few decades.At present only competitors on Euro-African routes(except South Africa) are Afriqiyyah Airways and Royal Air Maroc who with their less resources are unable to compete on many routes.Main problem for European carriers are their high taxes which sometimes amount to above 500/= pounds whereas Afriqiyyah does not go that high and provide cheap flights inclusive of taxes at lesser rates then these.The other problem is a psycological one.I was talking to a gentleman from Freetown Sierra Leone who very clearly said I would fly with any African carrier rather then those who colonised my country and even now when we travel with them they look down upon us.So he opted for Royal Air Maroc although that was having one stop as compared to a direct European carrier with most suitable timings.Although the European Airlines claim of profits on African routes but one in travel business very well know that this is mainly because of their trans-atlantic connections otherwise normally people avoid them due high taxation.If they are to compete in market they’ll have to look into their tax structures. Deutsche Lufthansa, Air France-KLM and British Airways are expending their reach into Africa and beginning to fly routes to the Congo, Libya, Morocco, Sierra Leone & Liberia as passenger demand grows. In November last year Lufthansa, which is Europe’s second largest carrier after Air France-KLM, added flights to the Republic of Congo while fully owned subsidiary British Midland International (BMI) began services to the Libyan capital, Tripoli, in December. The airline has announced routes to Marrakech and Casablanca in Morocco. In addition, Air France is planning to add routes to Sierra Leone, Liberia and Libya later this year. Lufthansa has predicted that air travel in Africa will increase by an average of 6% every year until 2025, helped by an expanding raw material industry and growing middle class. The International Air Transport Association (IATA) predicts strong growth in Africa well into the foreseeable future. Figures just released by IATA say show that passenger revenues increased 11.7% between December 2009 and 2010 for Africa while the Middle East saw growth of 14.1% for the same period. Africa and the Middle East occupy the top spots in terms of passenger revenue growth, according to IATA. According to Airports Council International, international traffic in Africa jumped 9.8% last year, outstripping growth of 3.9% in Europe and 5.5% for North America. Europe is the main gateway to Africa, with flights between the two continents accounting for 3.2% of all traffic in 2009, according to IATA. That compares with 1% for Africa-Middle East connections and 0.4 percent between Africa and Asia. Lufthansa’s main brand last year reported an 11% increase in African and Middle Eastern traffic, measured by passengers kilometres flown. The carrier’s market share in the region reached 24% in November, compared with 17% in 2002, Bloomberg reports. Lufthansa is focusing its network expansion on the oil-rich region around the Gulf of Guinea, with services to Nigeria, Senegal and Angola. Lufthansa and its subsidiaries also serve the North African capitals and East African cities including Khartoum in Sudan, Addis Ababa in Ethiopia and Dar es Salaam, Tanzania. Lufthansa, which includes Austrian Airlines and Swiss International Airlines, serves 39 African destinations with 269 flights a week. Lufthansa is also expanding its network via the Star Alliance, which includes South African Airways, Cairo-based EgyptAir and soon Ethiopian Airlines. A plan by Lufthansa’s three African partners to set up a new airline to operate in central and west Africa would allow the German carrier to concentrate on hubs like Lagos while the local business would take over regional connections, spokesman Boris Ogursky said. Meanwhile, Air France-KLM added Kigali, Rwanda and Bata in Equatorial Guinea to its winter schedule and boosted capacity to Africa by 3.5%. It plans to fly to Freetown in Sierra Leone, and Liberia’s capital Monrovia. Air France will begin serving Tripoli in addition to KLM’s daily flights. Air France-KLM’s SkyTeam includes Nairobi-based Kenya Airways. Virgin Atlantic Airways added Accra in Ghana to its flights to Lagos, Nairobi, Cape Town and Johannesburg in May and British Airways will start flying to Marrakech from March 27. “Africa is a growing and important market to us and we have expanded where we feel appropriate and where we have been permitted in the past few years,” spokesman Richard Goodfellow told Bloomberg. Africa generates as much as 400 million euros ($553 million) in operating profit for Air France-KLM annually, Derocles estimates. The group reported a 1.3 billion-euro operating loss in the year ended March 31. Although Africa is most prone to political upheaval and unrest, European airlines are undeterred by this, Frank Skodzik, an analyst at Commerzbank AG in Frankfurt told Bloomberg. “The risk of political instability is higher than in developed countries, but the prospects of strong margins on these routes outweigh that concern,” he said. “Many of the markets used to be monopolies with exclusive rights for one carrier, and that’s very attractive for a newcomer airline.” Often African routes are more profitable than those in European markets. Present in Africa for close to 75 years, Air France and KLM continue to improve their offer in this region of the world. Thanks to its African partners, the Group can offer its customers an increasingly expanded network with new destinations, additional frequencies and even more direct flights to and from the Paris-Charles de Gaulle and Amsterdam-Schiphol hubs. Football-Gabon – To ensure mass participation by fans in the CAN 2012, the Gabonese authorities have called for the enhancement of flights between Casablanca, in Morocco, and Libreville, the Gabonese capital, PANA learnt from official sources Wednesday. The Gabonese Minister of Transport, Rémy Osselé Ndong, said in view of this development, the Moroccan airline company, Royal Air Maroc (RAM), should reinforce its flights between the two Casablanca and Libreville, one of the Gabonese cities that will host matches in the joint Gabon-Equatorial Guinea African Cup of Nations. ‘Gabon will need solid partners for the movement of visitors from outside and between the host cities in Gabon and Equatorial Guinea,’ the minister said. RAM currently operates only two weekly flights between Casablanca and Libreville and this is expected to double during the continental tournament. In Equatorial Guinea you will definitely have a unique travel experience. This island nation doesn’t offer many tourist attractions, but it does offer fantastic beaches, charming local bars, and an interesting local culture. An international immunization card, which you can get from the W.H.O. Brush up on your Spanish vocabulary and verb conjugation. Equatorial Guinea is the only African country that recognizes Spanish as its official language. French and ethnic dialects are also spoken here. Convert your U.S. dollars to Central African Francs, which is the official currency of this country. Exchange rates always fluctuate, but you typically get around 500 CFA per U.S. dollar. Plan on landing at the Malabo Airport, which is close to tourist accommodations. Become familiar with local transportation options before arriving. Your best options for getting around Equatorial Guinea are bush taxi or bus. Take a ferry or small plane to mainland Equatorial Guinea from Malabo, which is actually located on an island. To book accommodations, contact Office National du Tourisme in Guinea at 011 (+240) 455 163. It helps to know how to spot a good deal on accommodations. Cheap rooms in Equatorial Guinea will generally cost less than 5500 CFA, which is just over $10 U.S.
Book your accommodations through a travel agent specializing in African vacations. Travel agents familiar with African tourism can often help negotiate cheap accommodations in your preferred areas of the country. Look for cheap accommodations in the largest city, Malabo, but make sure they are safe and reputable. Booking through a trusted travel agent or reservations service will help ensure this. Reserve safari-style accommodations at one of the best-known treasures of Africa, the Monte Alen National Park. This park protects over 1,400 square miles of wilderness and is home to a unique collection of native animals, plants and geological features. 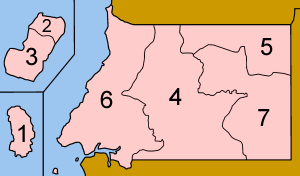 Equatorial Guineais characterized by having a clearly equatorial climate habitual for areas near the Equator. This climate is very similar to the tropical climate, and both share limited temperature ranges and high temperatures. The major difference is that the rainy season of the tropical climate is more irregular and less intense, while in the equatorial climate the rains are very abundant and regular, and normally exceed 1,500 to 2,0o0 mm per year. The climate of the continental region presents two dry seasons: the first of them is between December and the middle of February and the second and most important is from July to September. We can also find two rainy seasons: one in March and another in September to November. In the continental region the average annual temperature is around 20ºC, with an oscillation that does not exceed 5ºC. The principal precipitations were produced during the months of September and December, from 1800 to 3800 mm, and the relative humidity is around 90% descending to 85% in the dry season. 1. Nkie Ntem Plateau:descends towards the west and continues to the coast through the flatlands of Ntem. 3. Mongouba Platform:we find this in the eastern area of the Niefang mountain chain, with peaks that reach 1200 m in altitude. 4. Mitra Massif:we find the highest areas in the continental region, Mount Mitra or Mount Alén, in the southern of the Niefang Chain. The Biokois of volcanic origin, and therefore, mountainous and also with forests. From any part of its area we can see the silhouette of the Basilé peak, formerly known as the Santa Isabelpeak.As for Annobon, its physiognomy is of volcanic origin, comprised mainly by basaltic rocks. Its physiognomy is of volcanic origin, with a landscape of deep valleys and steep slopes. The island is comprised completely of volcanic origin. We find three calderas: Basile Peak (3011 m) in the north area and Biao Peak (2009 m) and the Gran Caldera of Luba (2261 m) in the southern area. 1. Malabo: The small but striking capital city abounds in Spanish colonial architecture and pleasant open plazas. The bustling market and the Spanish Colonial Center are worth a visit. 2. Climbing Volcanoes: The spectacular Pico Malabo volcano is an easy day trip from the city of Malabo. Arrange an expedition to take in its breathtaking views. 3. Beaches: The area around the mainland city of Bata boasts several beautiful and undeveloped beaches. Those at Mbini, just 32 miles south of Bata, are particularly gorgeous. 4. Local Liquors: Malamba, made from sugarcane, and osang, a type of African tea, are the national drinks. Locally brewed beer and palm wine are also abundant. 5. Market Shopping: Markets can be found in most cities and towns. In addition to local produce, bush meat, and textiles, many markets feature local handicrafts. 6. Monte Alen National Park: This park’s tropical forests are home to gorillas, elephants, chimpanzees, and many other creatures. Hire a local villager for a guided day trek through the park’s 1,400 kilometers of rain forest. 7. Bata Nightlife: This mainland city may feel small by day, but its nightlife is impressive. Be prepared for a long night;nightclubs typically don’t get going until quite late and are still jumping in the wee hours. 8. Moca Valley: Situated in the southern highlands of Bioko Island, this valley is home to the indigenous Buki people and offers plenty in the way of hiking and flora sightseeing. 9. Annobon: Head to the island of Annobon to see three of the country’s most famous mountain peaks, Pico del Fuega, Pico Centro, and Pico Surtado. Pico Surtado, the southernmost peak, is an inactive volcano whose crater now contains an impressive lake. 10. Arena Blanca: If you visit during the summer, Arena Blanca is a must-see. Its white-sand beaches are dazzling and enjoyable year-round. They literally come alive in the summertime with thousands of butterflies that nest there seasonally. The only crop more important than coffee in the country is cocoa. It’s a beautiful country comprising of five islands and a piece of Continental West Africa. The coffee produced is mainly Robusta and Liberica but there is a tiny bit of Arabica also grown. When a dictatorship took over from the Spaniards in 1969, economic disaster really struck the country and the fertile soils now stand wasted even though the little that is produced, is sold to Spain of late.